Includes: Boot Covers. Available in Child Sizes: Small, Medium, and Large. 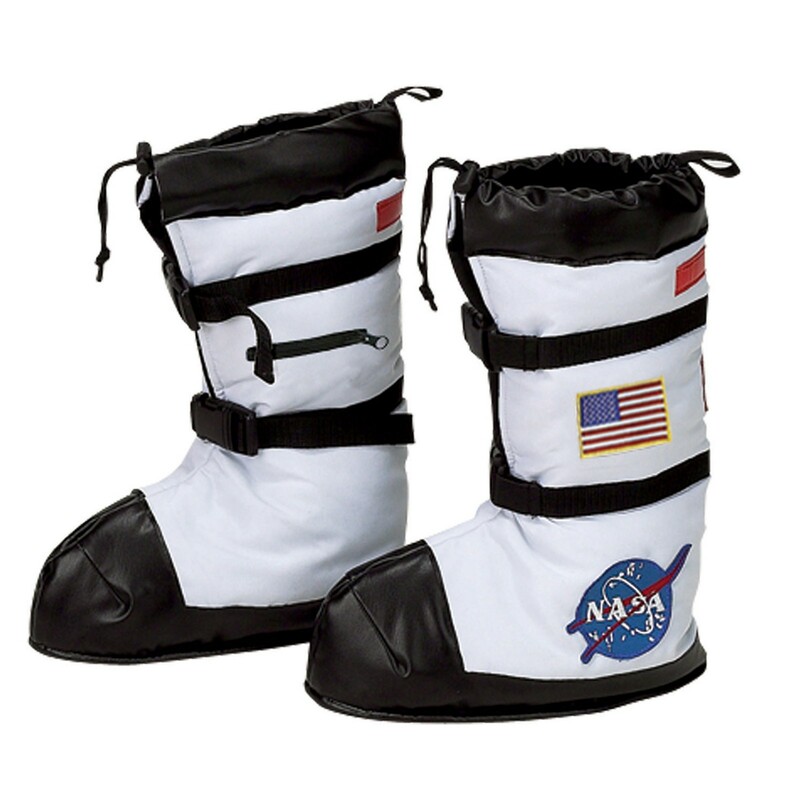 This is an officially licensed NASA product. Size Small suits a foot 18cm long Size Medium suits a foot of 23cm long Size Large suits a foot of 28cm Long Our shoes are costume shoes, and not designed for everyday wear or continual heavy use.